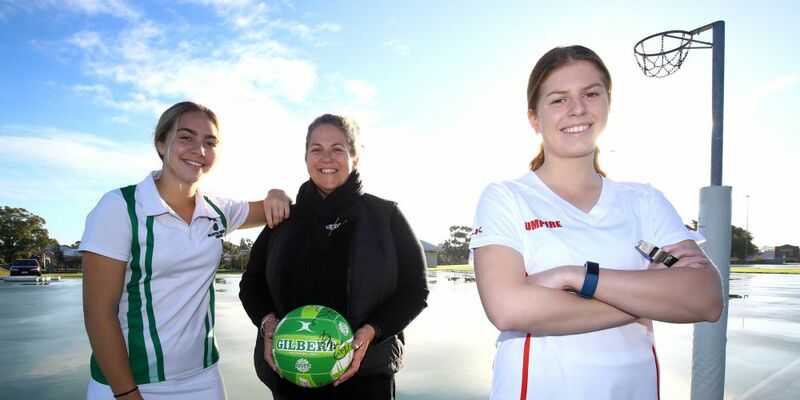 WITH about 5000 players taking the court each Saturday, and many more spectators cheering from the sidelines, it would be understandable for Fremantle Netball Association to experience a few ‘bad sports’ incidents. Yet the association drew a line in the sand last year and committed to implementing new values through the True Sports campaign, which has led to marked behavioural improvement on and off the courts. True Sports is based on a core list of eight values and reminding people that what children learn playing sport are the values they take with them off the field as well. True Sports is coordinated through the State Government’s Department of Local Government, Sport and Cultural Industries, and has a big supporter in Minister Mick Murray. Last week Fremantle Netball was named the inaugural True Sport Winner at the department’s Sport and Recreation Industry Awards. FNA spokeswoman Karen Wheatland said the association chose and publicly recognised weekly True Sports to encourage the change and used social media, courtside signage, newsletters and its code of conduct to reinforce the key messages. “Complaints of bad behaviour in 2017 have disappeared considerably this year,” spokeswoman Karen Wheatland said. Other sports have also committed to spruiking and living the True Sports mantra, including the WA Football Commission and Gymnastics WA. Ice Skating WA, Volleyball WA, Water Polo WA and Squash WA were also early adopters, along with many individual clubs including Mandurah Pirates Rugby Union, Joondalup Giants Rugby League Club and West Coast Junior Football Club.